For the bride and groom seeking a true entertainment experience that captures your vision and spirit on this special day. Stephen Scott's proven process will walk you through, step-by-step, the keys to a successful wedding reception and ceremony. My goal, as your wedding DJ, is to provide entertainment and the right music environment that will help you and your guests enjoy themselves. It's your special day and everything should be perfect! 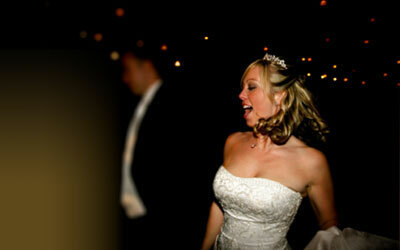 Stephen Scott Professional Entertainment consistantly delivers an unforgettable day for the bride and groom. 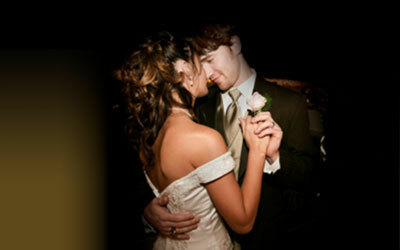 As a Raleigh wedding DJ and MC, Stephen Scott has performed at countless weddings and receptions. All services are performed with the highest quality professionalism, ensuring attention to every detail, to create a memorable music experience for your wedding and/or reception. With your input we can create a truly unique musical representation that captures your special day and makes for an unforgettable Wedding Day. Stephen Scott delivers professional entertainment for your wedding receptions in the Raleigh and surrounding areas. Stephen Scott Professional Entertainment is pleased to be an approved vendor listed on theknot.com, Wedding Channel and Wedding Wire. Year after year, Stephen Scott Professional Entertainment continues to rank among the best in the area.